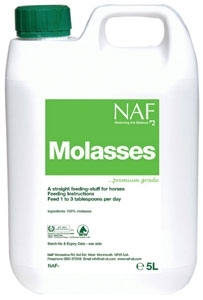 Molasses. 5Ltrs. Used as an appetite stimulator, containing phosphorus, iron, B vitamins and sucrose.